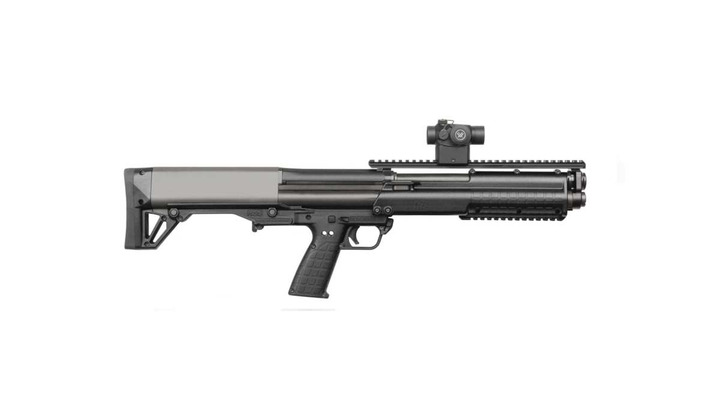 Designed for compact storage and light weight maneuverability, the Kel-Tec KSG is designed to make ordinary tactical shotguns obsolete. Innovative dual-tube magazines hold 6+6+1 rounds of 12-gauge 3" shells or 7+7+1 of 2-3/4" shells. With patented downward ejection, it's truly ambidextrous. Just 26.1" overall, the KSG is legal in all states.